Hispanics are one of fastest growing demographics in the U.S. But like any demographic, there are important nuances to consider when connecting with this audience. Insight into your audience’s motivations, behavior and preferences is key for anyone trying to engage with the public. We know every day that more and more Hispanics are on social media, but on which platforms?, Where are they participating? And more importantly, in what language? No issue is more debated than the role “Spanglish” plays in the way organizations communicate with the Latino community in the United States. 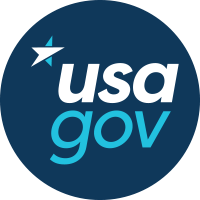 So last Wednesday, USAGov in collaboration with DigitalGov University, hosted an interactive event exploring the critical role social media plays in reaching Hispanics in this country. There’s no one-size fits all approach to reaching Hispanics on social media. Some agencies find it works best to communicate from accounts strictly in Spanish. Others, like Peace Corps and USAGov are using different languages from different accounts. And other organizations like Voto Latino communicate mainly in English. Cultural relevance is crucial in messages. Some messages that might play well with a primarily English-dominant audience might not resonate with a more bilingual or even Spanish-dominant audience. When communicating about topics like voting and elections, access to healthcare or emergency response, it’s important to speak the language that your audience speaks -- whether that’s English, Spanish or something in between. Tailor your communications strategy to reach specific audiences (or generations) within the Hispanic community. New research from the Hispanic Millennial Project shows that Hispanic Millennials are less likely to indicate that they will need a mortgage, strive to have good credit despite being in debt, prefer Facebook and stream over three hours of music every day. Check out the rest of the research findings that Sensis shared. The demands of our audiences are changing, but we’re poised to meet them. With limited staff and resources, it can sometimes seem like engaging new audiences is an impossible task. But several agencies demonstrated ways to take small steps toward that goal. It can be as simple as hosting a Twitter chat or answering questions in the language they are asked. Agencies are innovating around how to use their limited resources to maximize their reach. Check out great examples from the CDC, FEMA and the SBA in the slides from our presenters. There’s a need for us to work together more on this! We plan to continue the conversation, both online using the hashtag #SomosSocial, and through more trainings, webinars and future discussions. If you have an idea or want to reach out, email us at usapartnerships@gsa.gov. And don’t forget, you can view all the presentations from the event or check out the video-recording on the DigitalGov YouTube channel. Leilani Martinez, Jessica Milcetich, Edgardo Morales and Victoria Wales are part of the USAGov Marketing and Outreach Team.